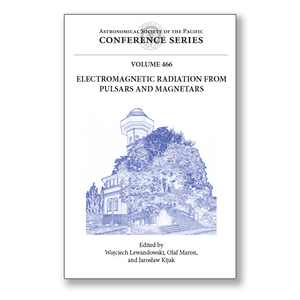 These are the proceedings of the international conference Electromagnetic Radiation from Pulsars and Magnetars (ERPM) organized to commemorate the 60th birthday of Professor Janusz Gil. The ERPM conference hosted more than 100 participants from all continents. The scientific program consisted of 17 invited lectures given by scholars leading their respective fields. In addition, there were 27 oral presentations in 6 regular sessions and a special session. The conference focused on observational and theoretical aspects of neutron stars, and covered the following topics: (1) Radio observations of pulsars; (2) theory of pulsar radio emission; (3) Magnetars: observations and theory; (4) Across the Spectrum: pulsars and magnetars; (5) Neutron Stars: structure, evolution, magnetic fields and PWNs; and (6) Future Prospects: pulsars and magnetars. An additional special session was dedicated to the very recent results of the simultaneous radio and X-ray observations of PSR B0943+10. This book is of particular interest to researchers in astrophysics of neutron stars and their environment. It presents the latest research results on radio and high energy observations, an overview of some future projects, as well as theoretical aspects of the pulsar astrophysics.